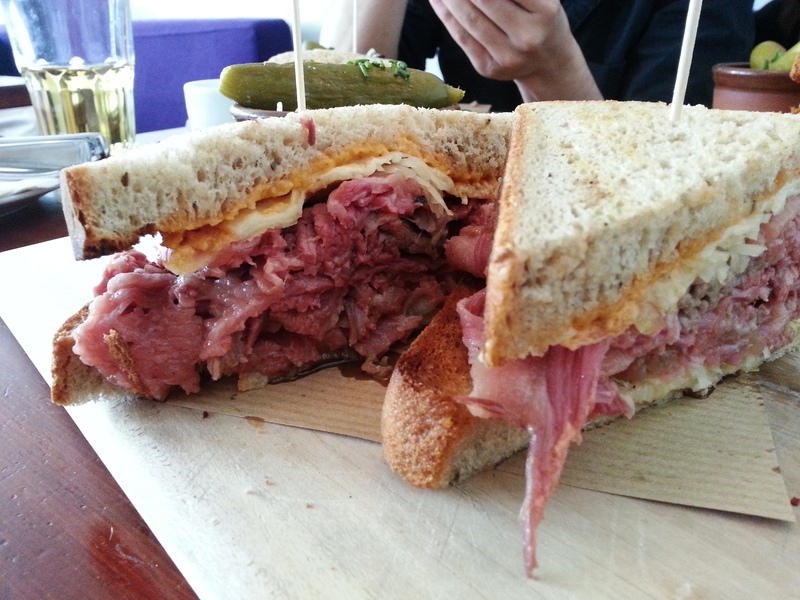 We had read about a pastrami sandwich at a Jewish deli called Mogg and Melzer in Berlin that was, apparently, the bomb. We made our way over there and when our trusty phones told us we had arrived at the location we looked in confusion at the huge, uninviting brick building, where was this restaurant? A small, unassuming sign to the right of the door told us we had come to the right place. We opened the door and entered into the foyer of what was once the first Jewish girls’ school in Berlin, built in 1835. The building has since been renovated to become a Jewish cultural heritage site combining both art and gastronomy. And it is here that Mogg and Melzer is hidden away. We were the first ones there and a bit early, about 15 minutes before opening time. 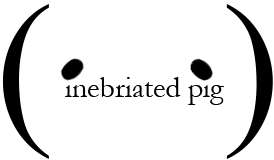 So we went back outside and loitered for a while. After what we thought was a reasonable enough wait we stepped back in to find the waiter still having his breakfast. He gestured for us to come in and take a seat, quickly shoving the rest of his sandwich into his mouth. With a big smile he gave us our menus and took our order. Pano wanted the Reuben sandwich and I asked for the pulled pork. We also ordered an extra side of pickles even after the waiter informed us that “you get a pickle with your sandwich”. But we like our pickles and these were deliciously salty. As advertised, there was a ridiculous amount of meat wedged between two slices of toast. The corned beef in the Reuben was tasty, though a few pieces were a bit tougher making for some difficult bites. The rye bread was nice and light with good rye flavor, and the Russian dressing was tart and sweet. The pulled pork, also on rye, was smokey and equally flavorful. All in all, damn good sandwiches and by no means small ones. So when you go here, and I do suggest you do that, make sure you come with an appetite! 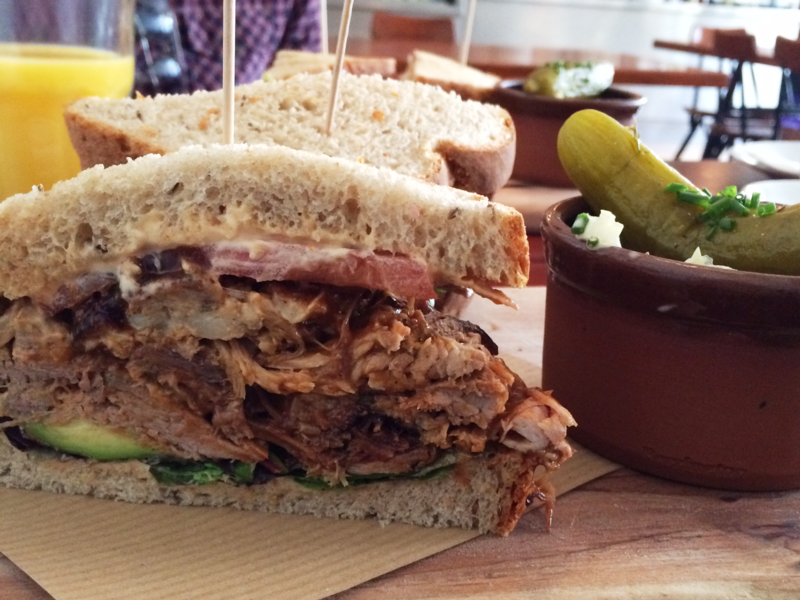 Pulled PORK in a Jewish eatery in a Jewish heritage building…?